IN THE WILD! The first look of the new species! 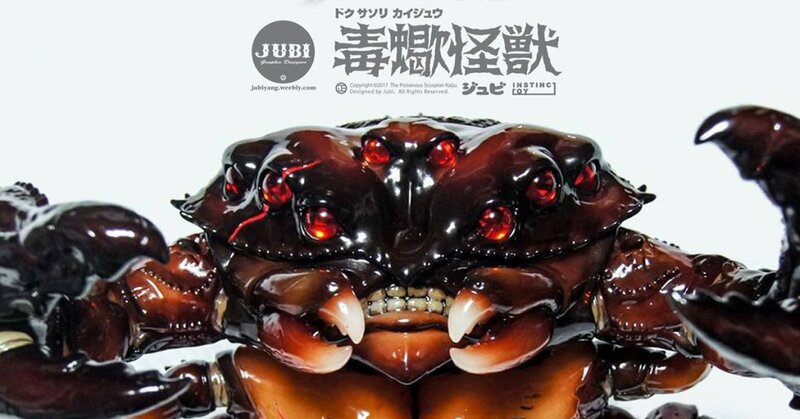 Poisonous Scorpion Kaiju by JUBI x INSTINCTOY, bet you ain’t seen a Scorpion like this one. Capable of different posing styles another release for Kaiju fans to look out for. JUBI must be over the moon with the outcome as the photos shown below looks like an ultimate finish and one heck of a beast. The photos are just a paint sample (heck if that’s just a sample we’d hate to see what the final version will look like). lets hope Poisonous Scorpion is a VEGAN. Right now, no official release date has been set. Stay tuned for further updates.